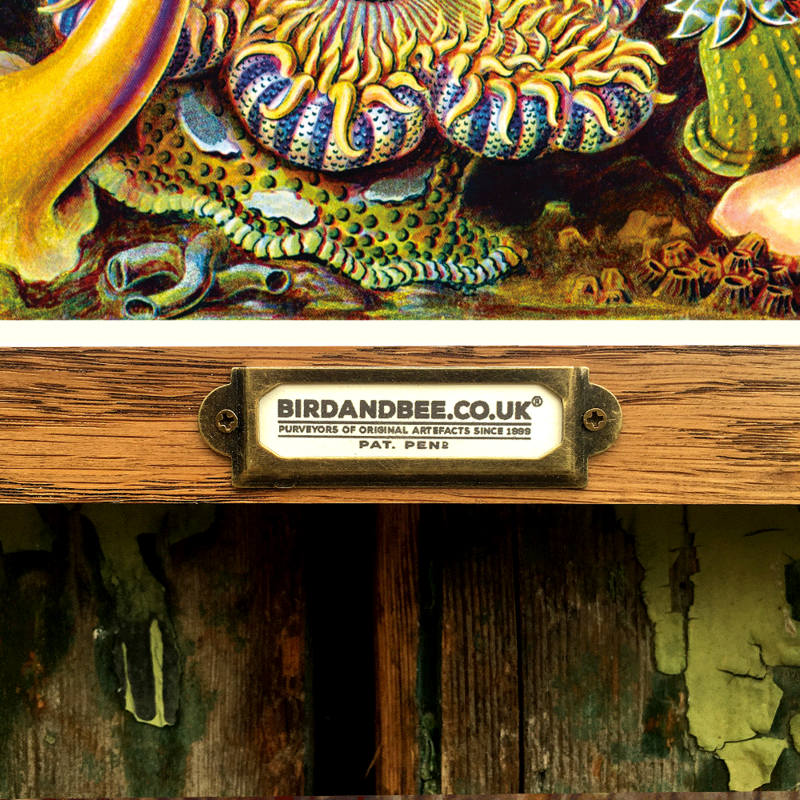 Giclée printed canvases available with or without Bird&Bee’s original Antique Oak Picture Hanger Frame. The life’s work of both a lover and observer of birds and nature. 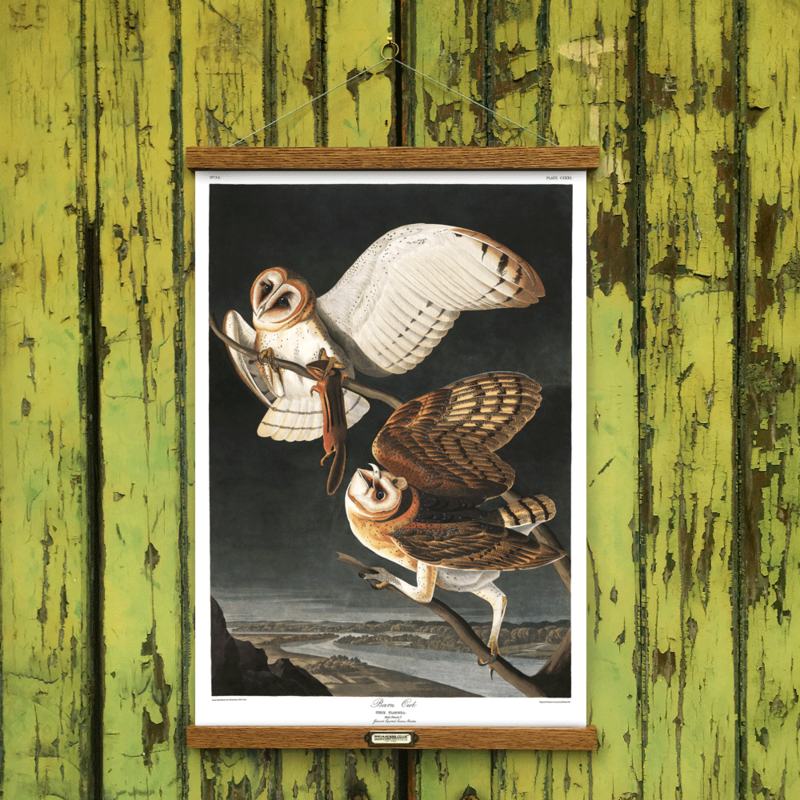 John James Audubon’s Birds of America is a portal into the natural world. 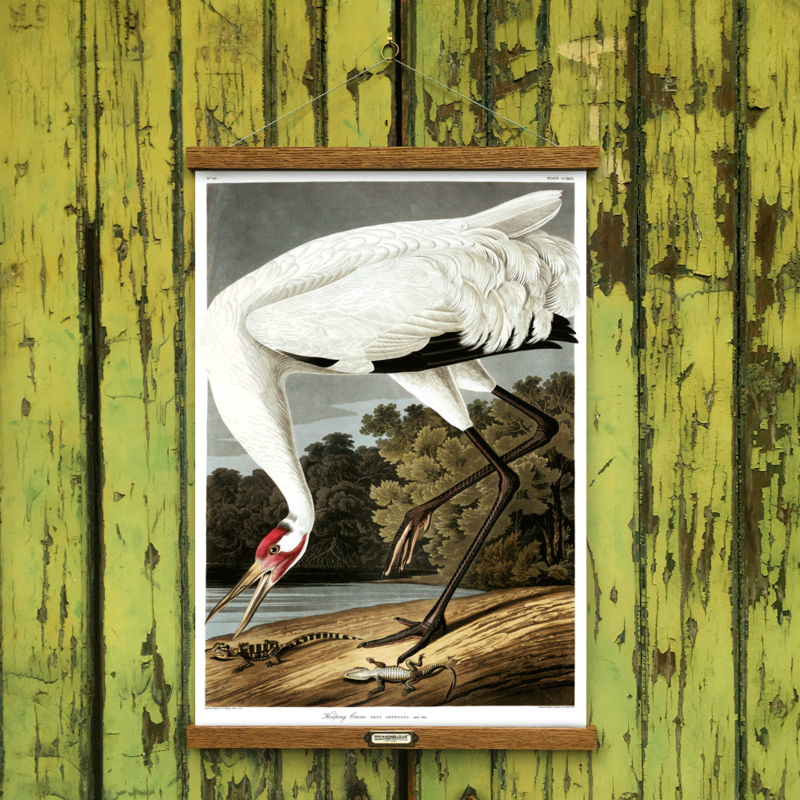 Printed between 1827 and 1838, it contains 435 life-sized watercolours of North American birds (Havell edition), all reproduced from hand-engraved plates, and is considered to be the archetype of wildlife illustration. 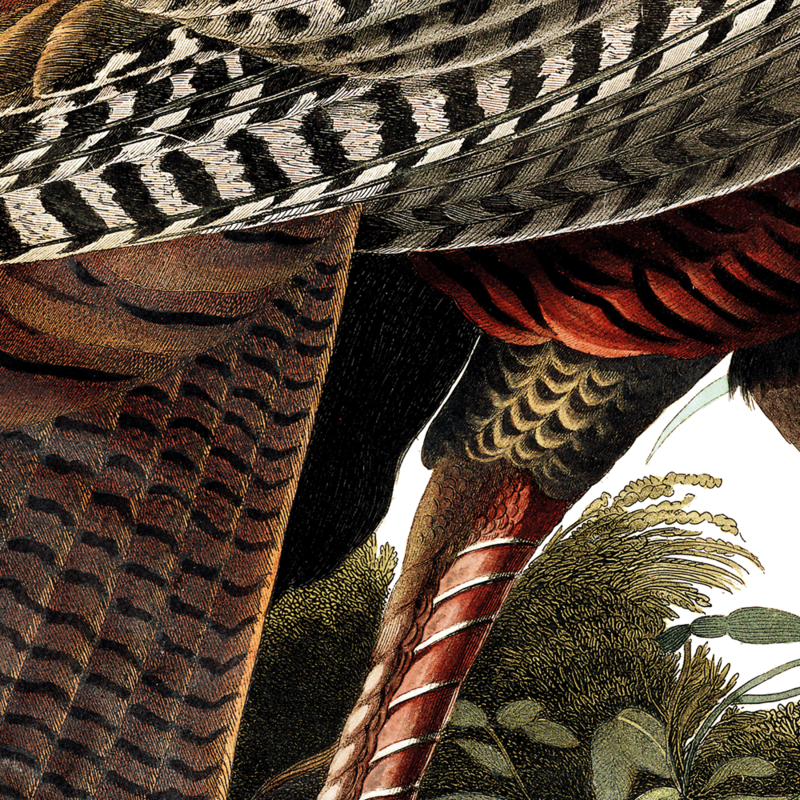 Nearly 200 years later, the Audubon prints are coming to life once again. 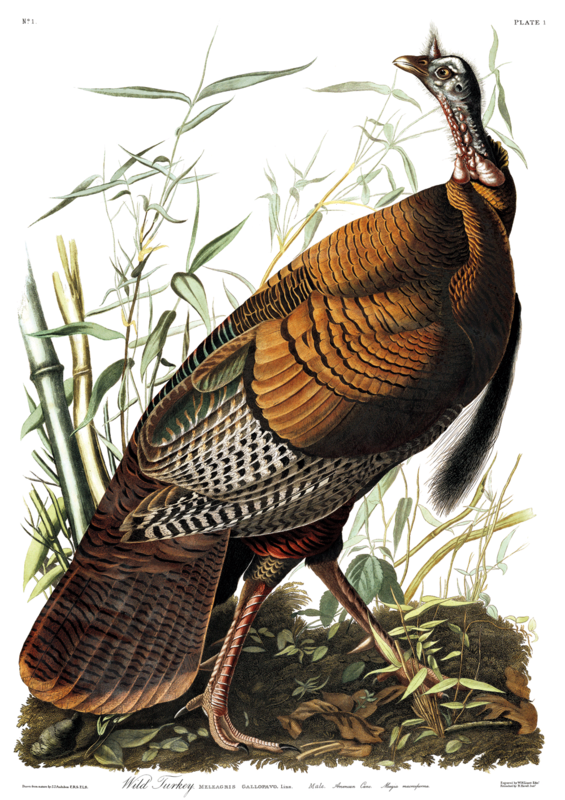 The images in our collection are provided courtesy of the John James Audubon Center at Mill Grove in Audubon, Pennsylvania, and the Montgomery County Audubon Collection. 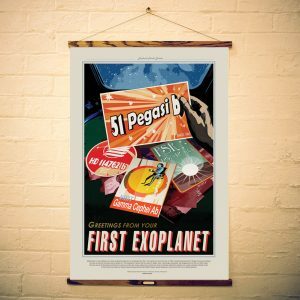 Our giclée printed canvases are a 260gsm fine weave and printed using fine pigmented HDR Ultrachrome, archival inks that will last 100+ years. They will NOT scratch, fade, rip, crease or smudge and are protected by a thin waterproof invisible coating. They are reproduced using the latest technology and are true to the detail and colour of the original plate. They are available in 6 standard sizes and are developed to work perfectly and look beautiful with our Antique Oak picture hangers. Quite simply, stunning! 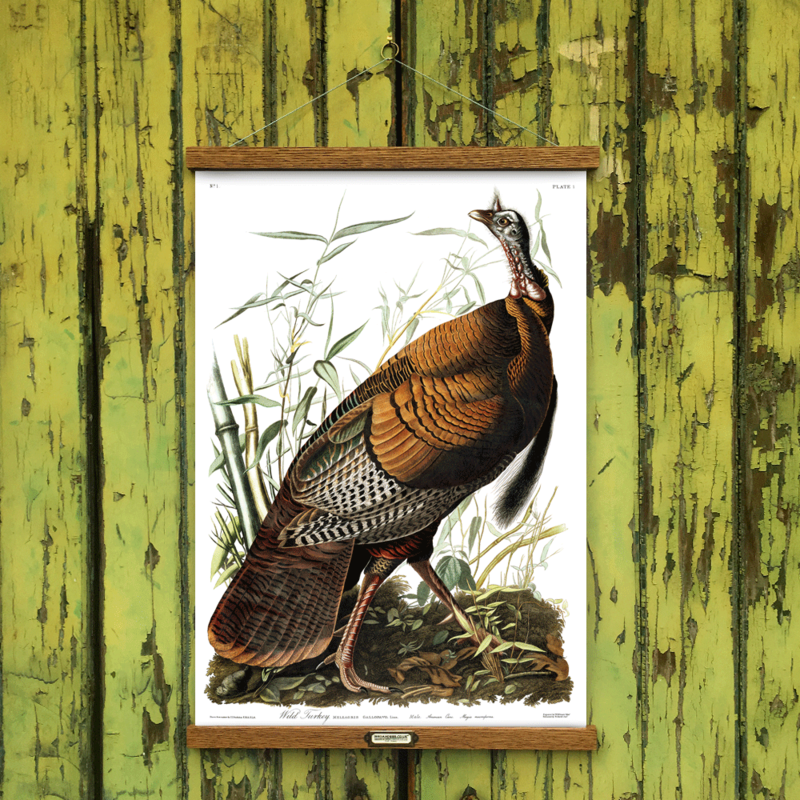 • An elegant, traditional alternative to expensive picture frames. • Made of solid oak with self-locating strong n52 magnets. • Hangs in seconds, lasts for years. reuse with any print. 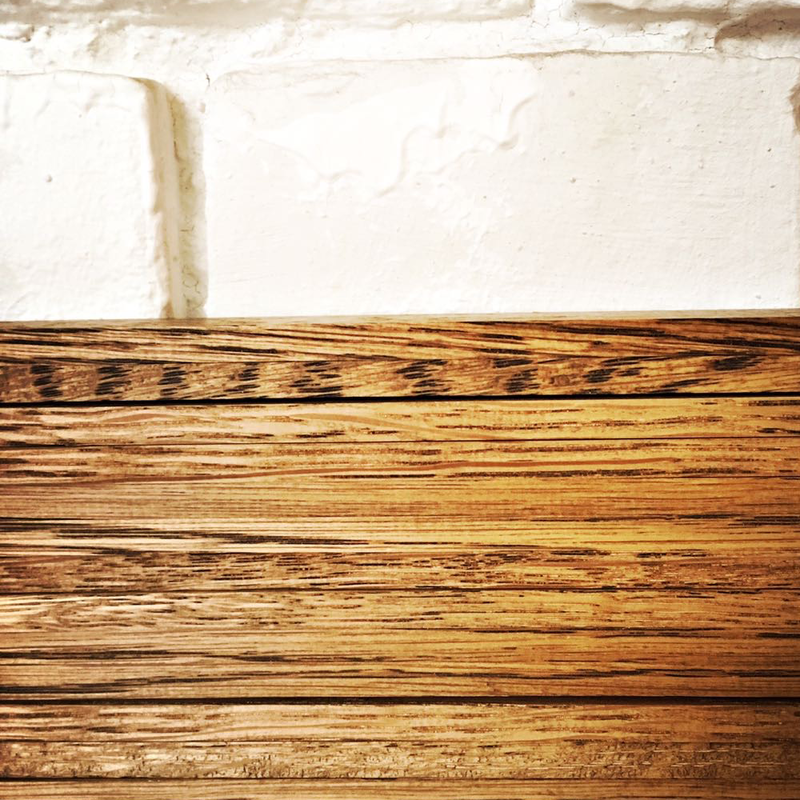 Artfully made in our workshop in Sheffield using solid English oak, aged to look the part on any drawing room, kitchen, study or bedroom wall. 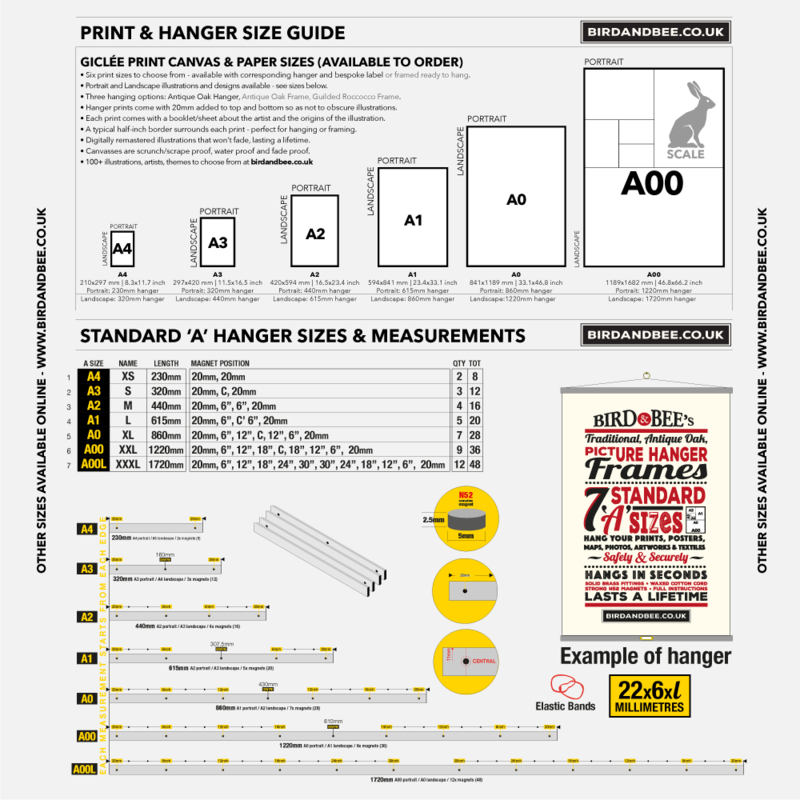 Your solid oak hanger is weighted perfectly to ensure your print hangs perpendicular to the wall. The brass fittings include a brass ring and brass knurled picture nail ~ providing a traditional look and feel. The waxed cotton cord is strong, durable & perfectly inconspicuous. 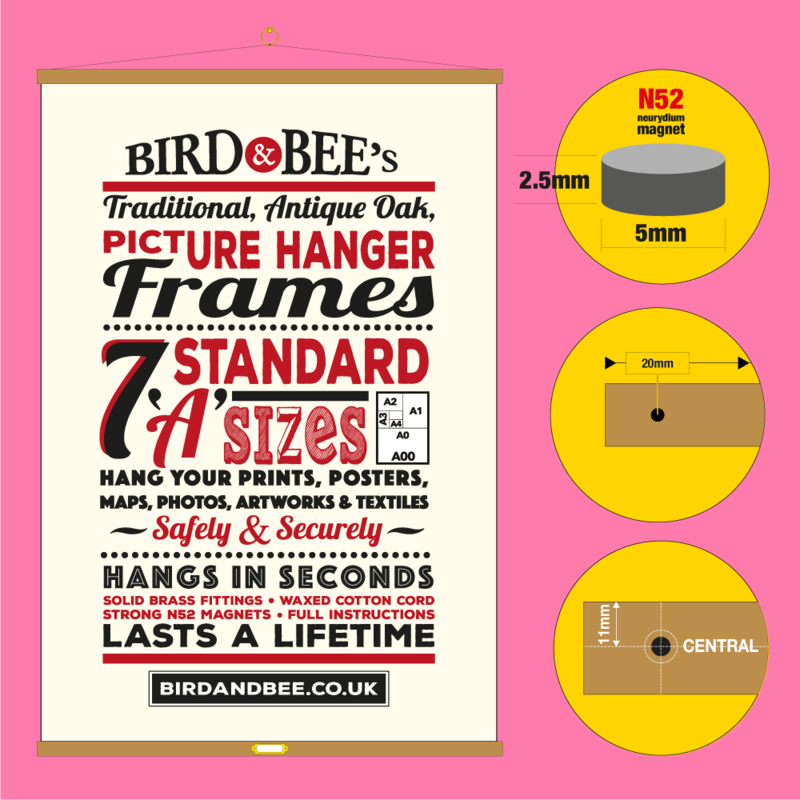 We use the finest self~locating magnets to ensure a strong, permanent hold without damaging your artwork ~ ready to hang straight away. Can be reused for years to come. 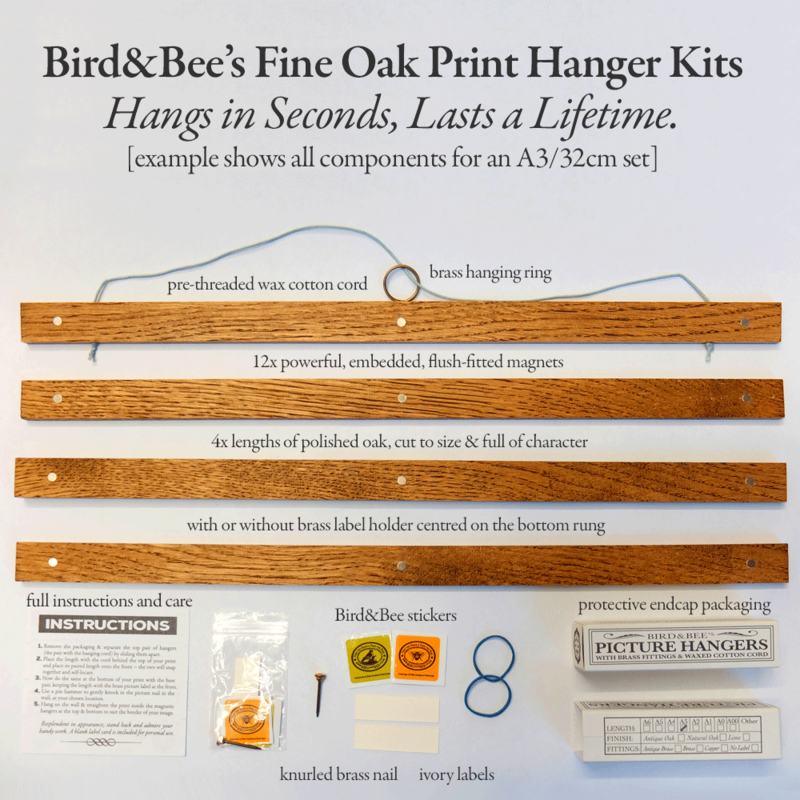 • 2 x pairs of Antique Polished English Oak hangers for the top and bottom of your print. • Each pair self-locates with each other using strong Neodymium N52 disc magnets imbedded in the oak. • Antique Brass Label Holder centred on the lower rail. • Traditional waxed cotton cord already attached. • Antique Brass split ring ready for hanging. • Brass Knurled Head Picture nail. 1. Remove the packaging & separate the top pair of hangers (the pair with the hanging cord) by sliding them apart. 2. Place the length with the cord behind the top of your print and place its paired length onto the front ~ the two will snap together and self-locate. 3. Now do the same at the bottom of your print with the base pair, keeping the length with the brass picture label at the front. 4. Use a pin hammer to gently knock in the picture nail in the wall, at your chosen location. 5. Hang on the wall & straighten the print inside the magnetic hangers at the top & bottom to suit the border of your image. Resplendent in appearance; stand back and admire your handy work. 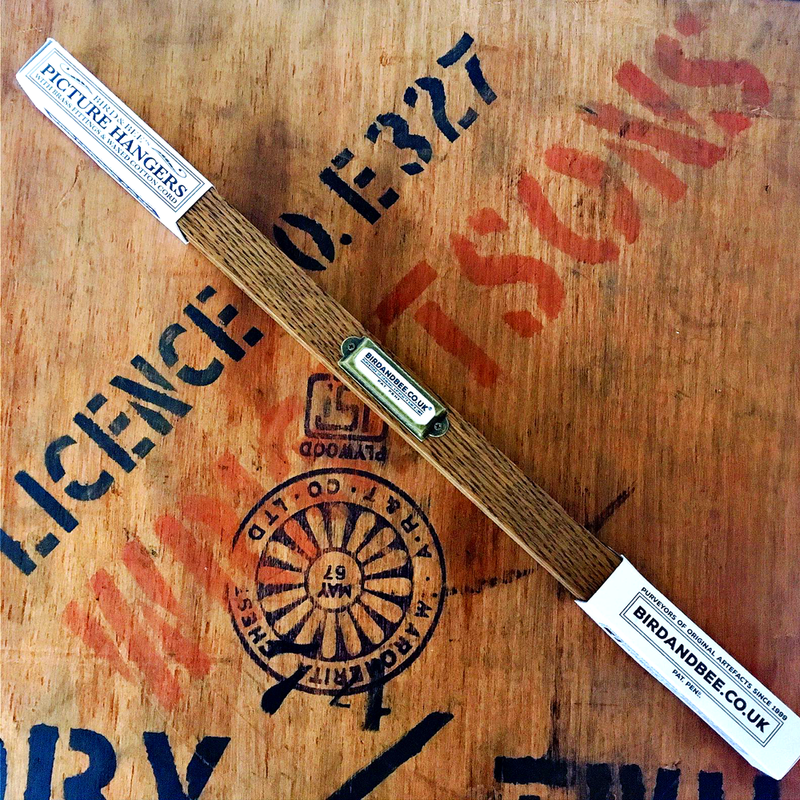 A blank label card is included for personal use. Orders are sent out once a week on a Tuesday. So, if you order on a Tuesday night it will be dispatched on the following Tuesday with your chosen Shipping method.